The DLA TLSP Deadline is September 5, 2018. What is the DLA TLSP contract? 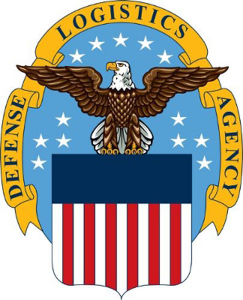 The Defense Logistics Agency’s Tailored Logistic Program is a fast and simple way to provide total logistics support and procurement for your organization. It enables customers to order commercial, off-the-shelf part numbered items within the scope of the program. Since multiple vendors are solicited for pricing, customers benefit from a competitive business model that will ensure they receive the best value. Federal Resources is a Prime Vendor for both Defense Logistics Agency’s Special Operations Equipment (SOE) and Fire and Emergency Services Equipment (FES). What equipment can go through DLA TLS? A wide variety of commercial and military products, services and training are eligible for the program. Some examples include firefighting, aircraft/crash rescue, hazardous material response, emergency medical services, homeland security or domestic preparedness, for marine lifesaving and diving equipment, tactical gear, safety equipment, search and rescue equipment, personal protection gear, flight deck and flight crew safety items, and explosive ordnance equipment. To determine if your requirements are eligible, contact a Federal Resources customer service representative at CustomerSupport@FederalResources.com. Who can use the contracts? The program is accessible to Department of Defense, Federal Agencies, State and Local Governments, as well as other authorized customers worldwide. When do orders need to be placed by? Due to EOY Fiscal and Audit Readiness constraints, the FY18 Funding Receipt Deadline is now September 18, 2017; 11:59 p.m. EST. Order Receipt Deadline: September 5, 2018; 11:59 p.m. EST NOTE: All orders expected to be funded with FY18 funds must be received in our mailbox (SOEOrders@dla.mil or FESOrders@dla.mil) by this deadline. Orders received after this deadline will be returned to the submitter with the opportunity to resubmit using FY18 funds. It’s easier than you think. Reach out to us for a quote at Sales@FederalResources.com. Once you’re ready to buy, register with the program at the links below and submit your order. Since the contracts are under the same division and the scopes are very similar it is a good idea to sign up to both contracts, as they often pass requirements between the contracts. A Federal Resources contracts specialist can walk you through the process. For more information on contracts contact CustomerSupport@FederalResources.com. Want more information on this and other Federal Resources contracts?